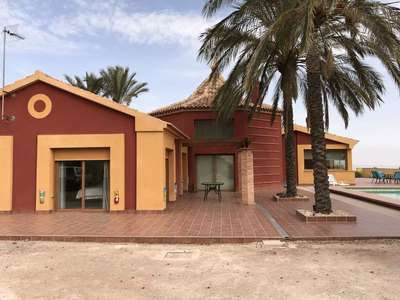 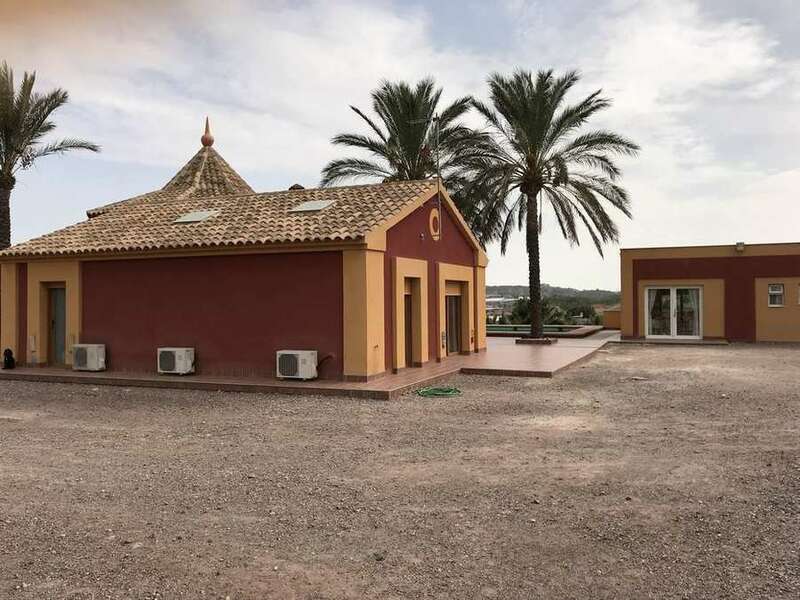 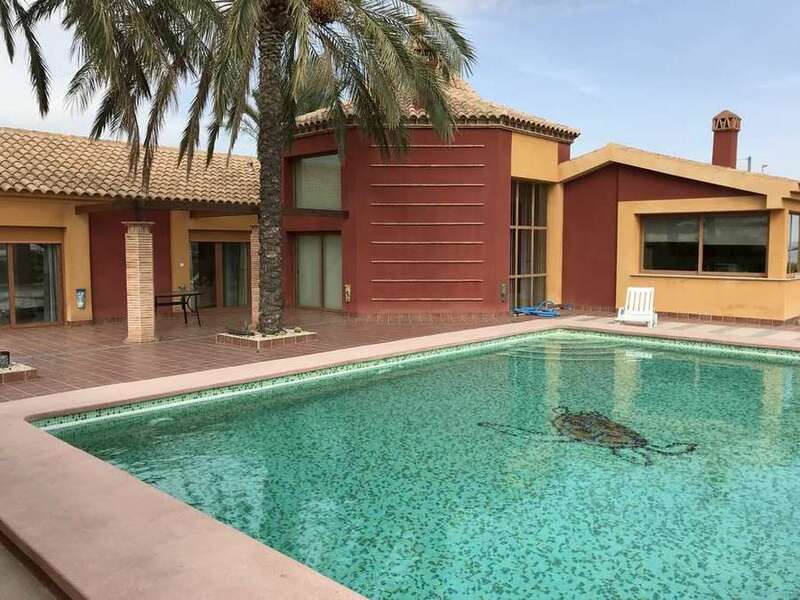 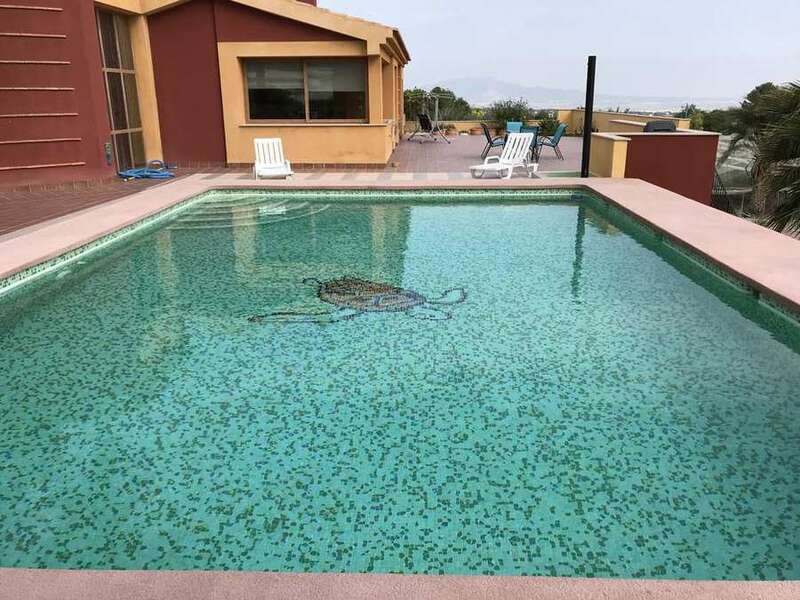 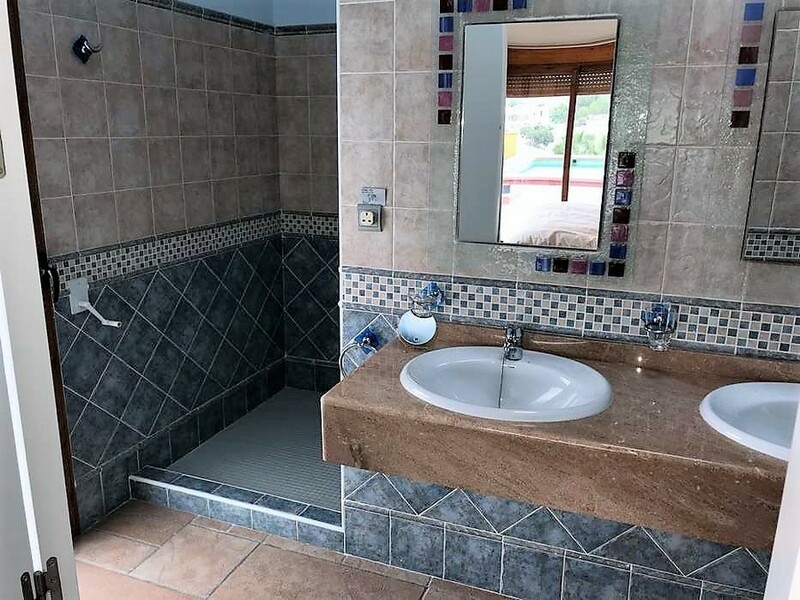 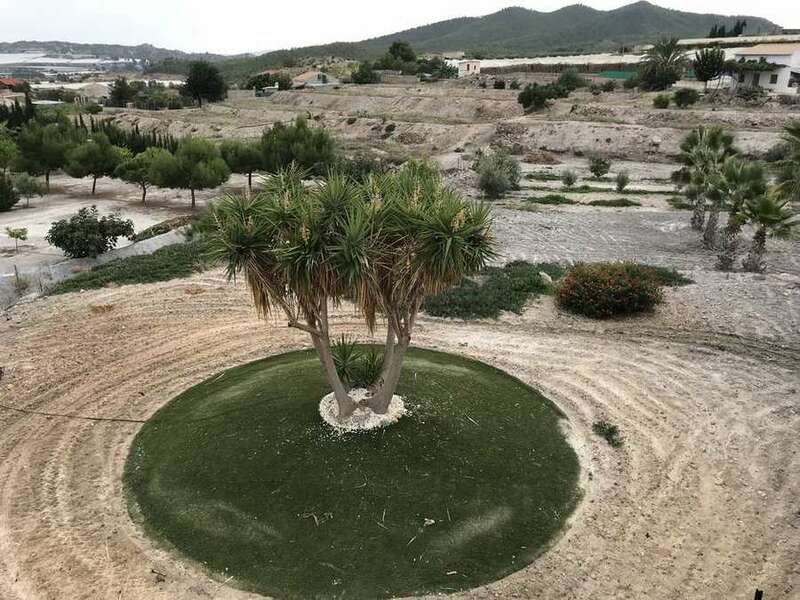 A fantastic, architected designed house with 3 or 5 bedrooms, 3 or 1 lounges, 3 bathrooms, separate annex with a further 2 bedrooms, central heating and private swimming pool near Totana in Murcia. 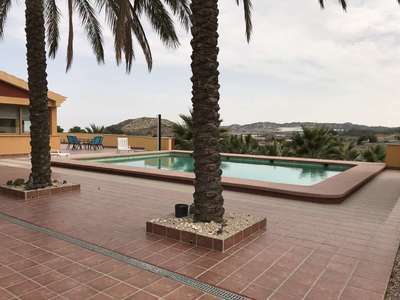 With panoramic views all round, this property, constructed in 2006, is a must see! 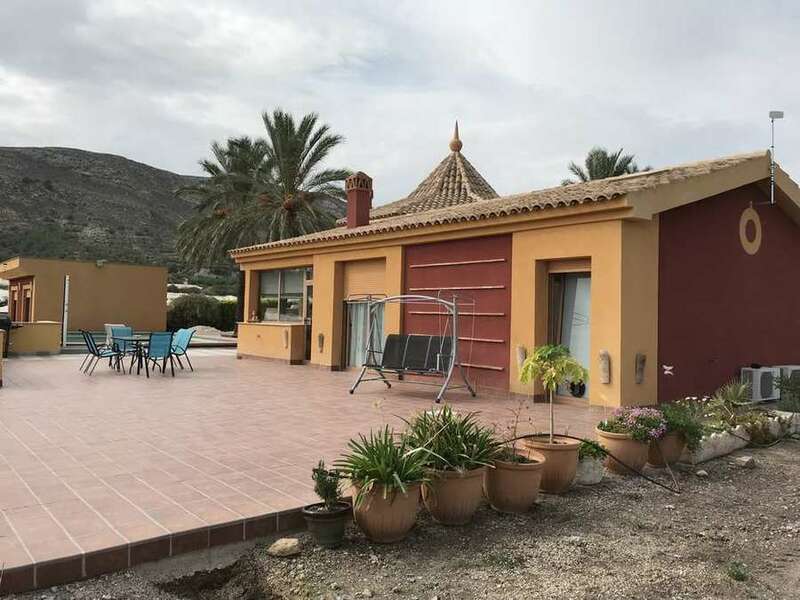 Nestled in the hills, close to the canal in Totana, you enter the property via double gates with plenty of parking space. 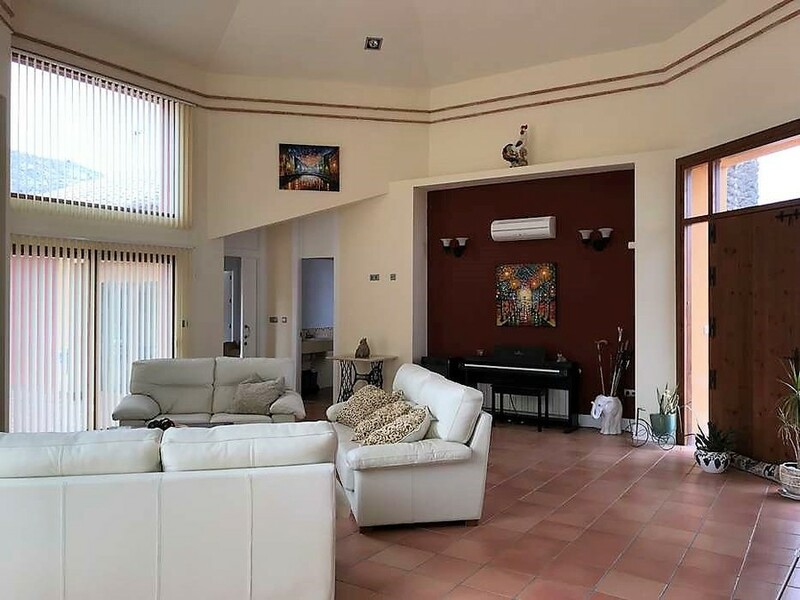 Upon entering the property, you have a lovely spacious open plan lounge with a pitched ceiling and large doors and windows affording plenty of natural light to flood in. The lounge has a wood burning fireplace, central heating, and is air-conditioning throughout. 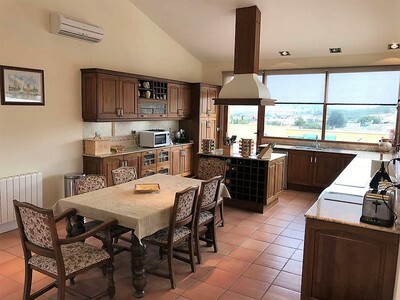 The kitchen has lovely oak units and a centre island with top of the range electrical appliances, and again, large windows with plenty of natural light coming in and wonderful views. 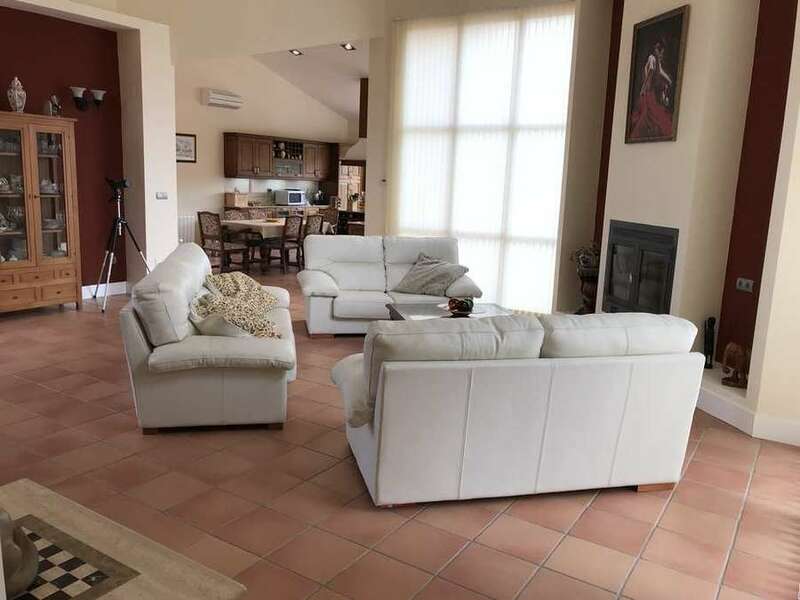 From both sides of the main lounge, you have other lounge areas, double bedrooms and en-suite bathrooms with double hand basins, shower cubicles and W/C’s. Off one bathroom is a separate utility room with extra work surfaces and fridges. 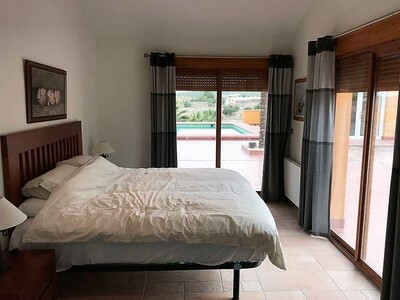 The bedrooms all have central heating and hot and cold air-conditioning, plus great views. The rooms next to the bedrooms are currently used as lounges by the owners but can be converted into bedrooms if needed, and again, have central heating and air-conditioning. 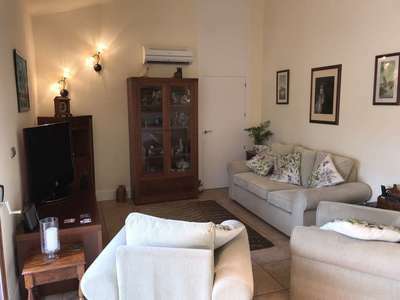 The converted annex is across from the main house and has a lounge with a kitchenette, 2 bedrooms and 1 bathroom with a bath and overhead shower, hand basin and W/C. 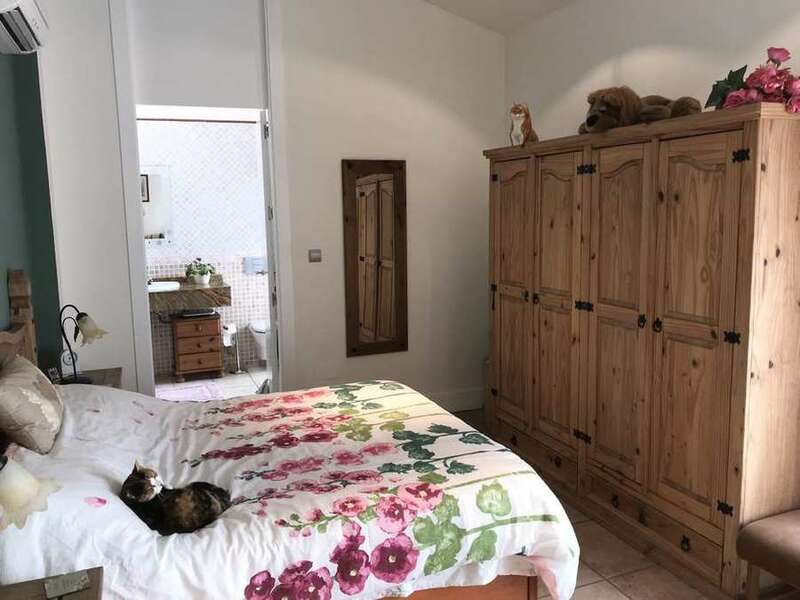 The main bedroom has air-con, plus internet and Satellite TV is available. 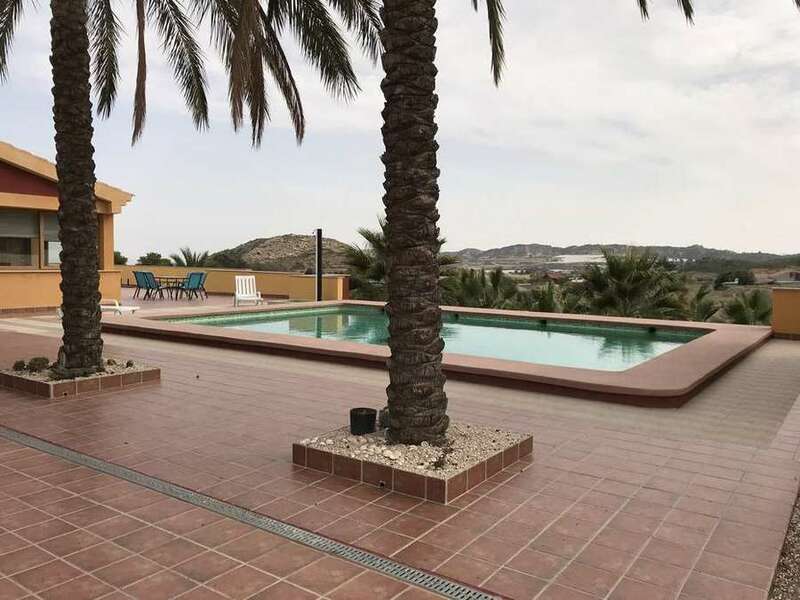 The land, on 5,000 sqm which is fully fenced, has a lovely 10 x 8 metre swimming pool with great views all round, plus a hot tub. Part of the land is on split levels, with the house on the higher level and the rest of the land on the lower level with steps leading down from the rear of the property. There are dog pens, two sheds and many palm and olive trees on this part of the land. The property has a constructed area of 250 sqm and is south facing. 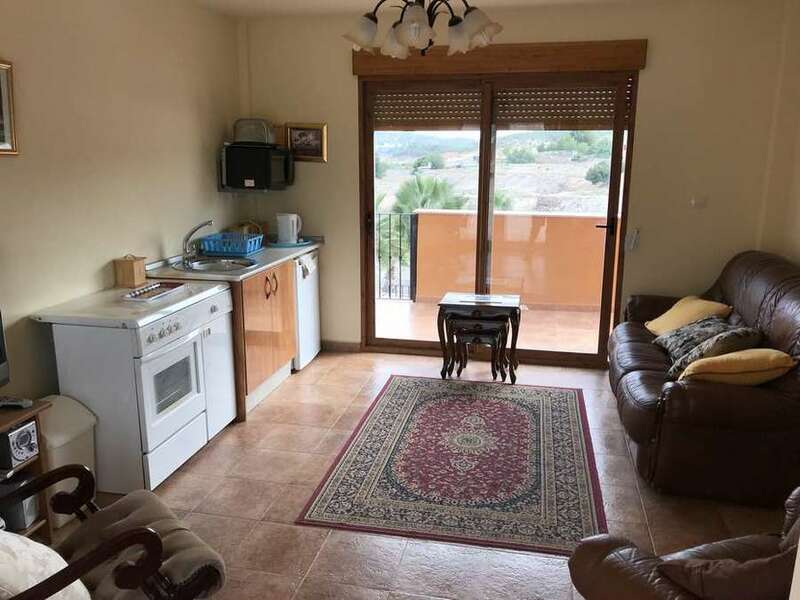 It is being sold unfurnished but includes white goods. 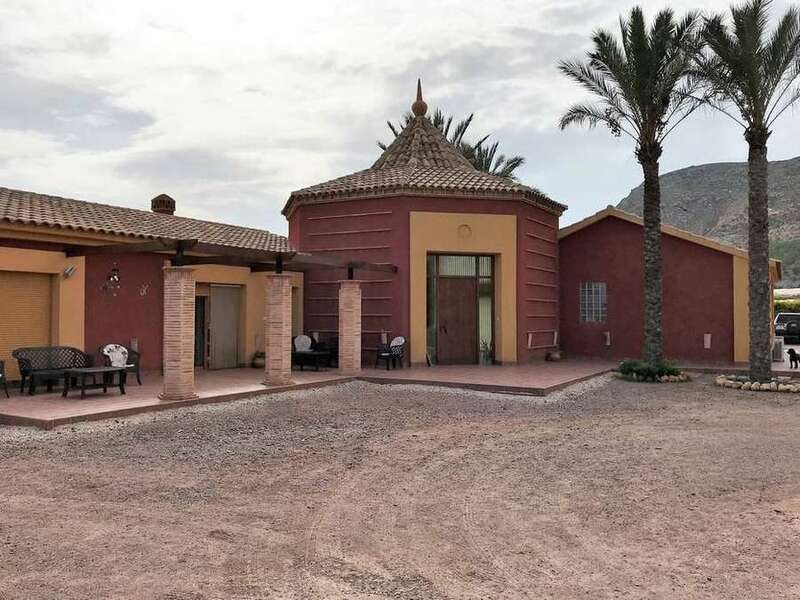 Totana is in the south-west area of Murcia, 40 minutes from the capital City of Murcia, 30-40 minutes from the San Javier airport and about 70 minutes from Alicante airport. It is 30km from the coast and the beaches of Mazarrón and Bolnuevo. 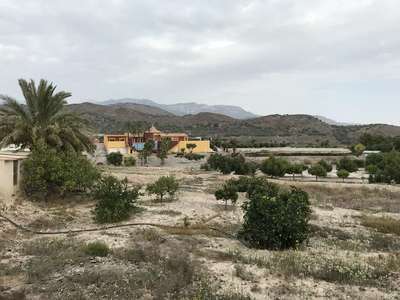 At the foot of the Sierra Espuna, it is in the heart of the Guadalentin valley, and well connected, both by road and rail.